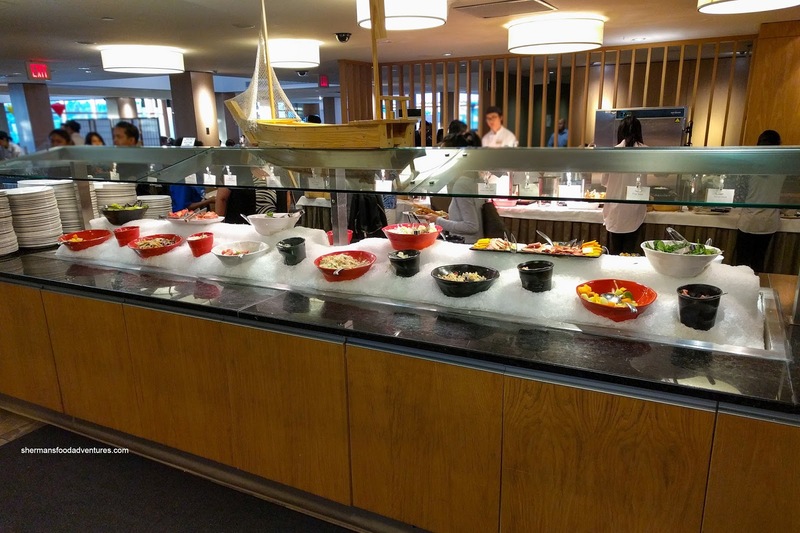 For those in-tune with the food scene in Vancouver, it comes as no surprise that the veritable buffet isn't really a thing here. 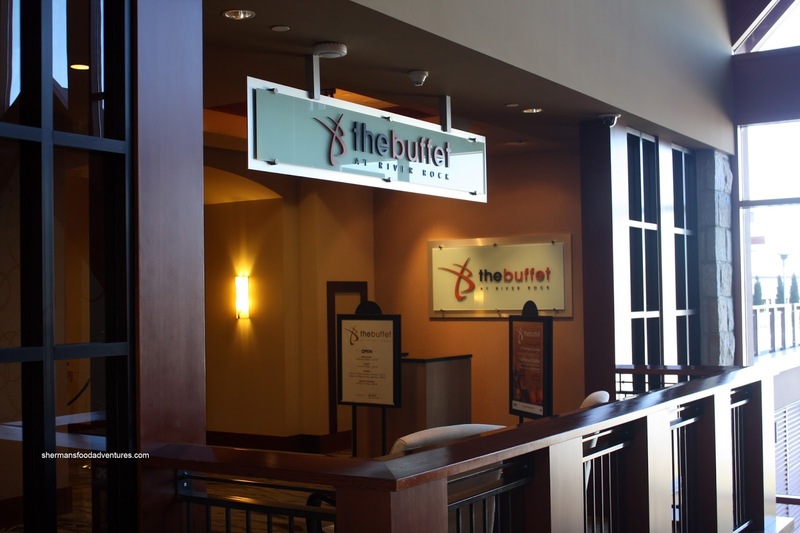 Yes, do have buffets, but they are far and few in between. For the ones that do exist, one would have a better time visiting any random cafeteria. However, that doesn't mean there isn't a market for the all-you-can-grab mystery items. 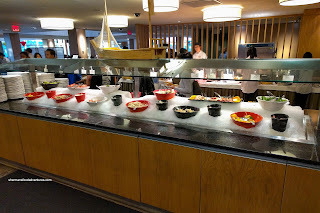 Case in point, The Buffet at the River Rock keeps drawing them in as exemplified by their constant lineups during dinner (in particular, the weekend seafood buffet). A ChineseBites even brought me back out there for the first time in 6 years. Totally ignoring the salad bar, I attacked the cold seafood display consisting of Shrimp, Clams and Mussels first. These had to be some of the plumpest clams I've ever seen. Occupying the entire shell and then some, the buttery clams were on point being briny and sweet. 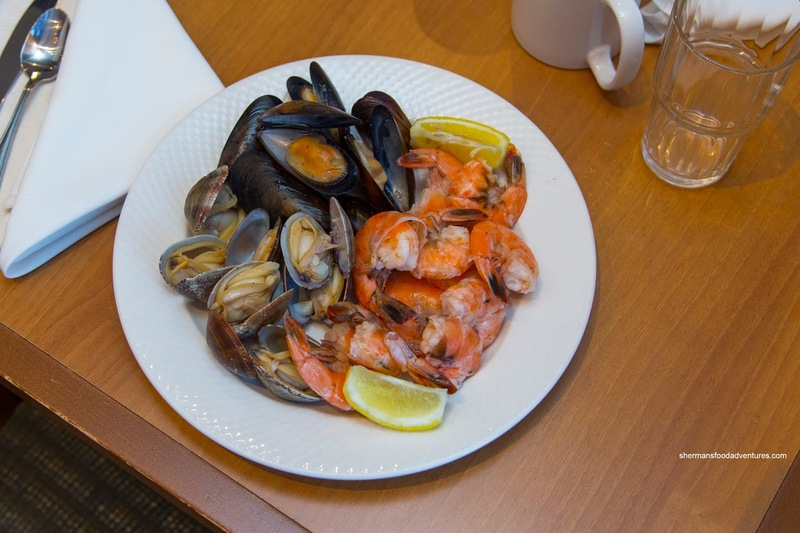 The mussels were smaller, but still fine being cooked just right and also briny sweet. However, the shrimp were so-so as they were overdone and full of unappealing veins. On a related note, the Salad Bar was pretty bare despite its size. I guess they did this on purpose as there weren't many people visiting it anyways. 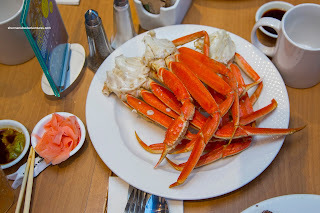 Next, I went for a pair of plates including a whole one dedicated to Snow Crab. I found these to be fairly decent with still-moist meat that was not incredibly salty. On the other hand, there was no mistaking the butter content as every bite exhibited a certain richness. I would've preferred dungeness but then again, that might raised the price exponentially. In the same section, we found Salmon, seafood polenta, some veggies and a pasta. Incredibly, the piece of salmon I had was buttery and flaky while Viv's was rather dry. Chalk it up to the typical buffet dilemma with fish as the longer it sits, the more cooked it gets. The most surprising item was the polenta as it was sweet, seafoody and delicious. Texturally, it was a bit runny. 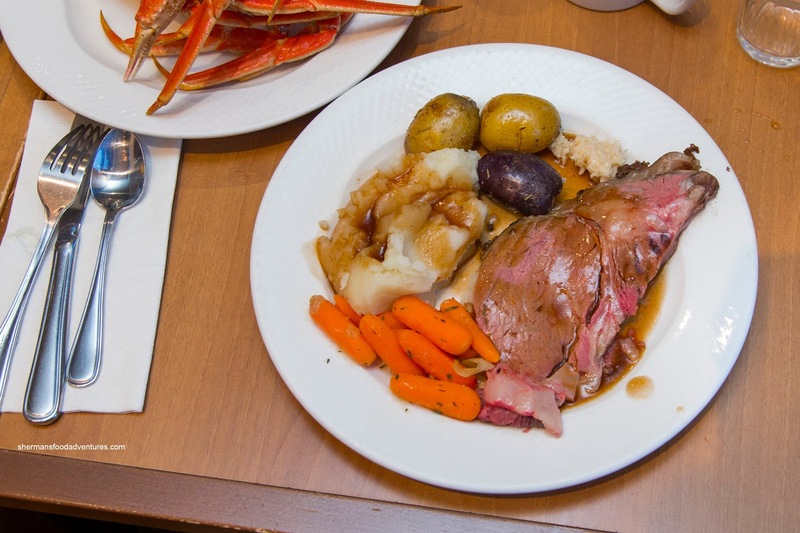 One of the best items at the buffet hands-down was the Prime Rib. Cooked rare, one could get the ends to avoid the bloody centre. However, I was all about the rarer portions and it was perfect. The meat really did melt-in-my-mouth and it was well-seasoned as well. As you can tell in the picture, the prime rib was super fatty, which helped the cause. There was a wealth of condiments including the usual au jus and horseradish. In the same carving section, the roast chicken was a real surprise as it was succulent and well-seasoned. 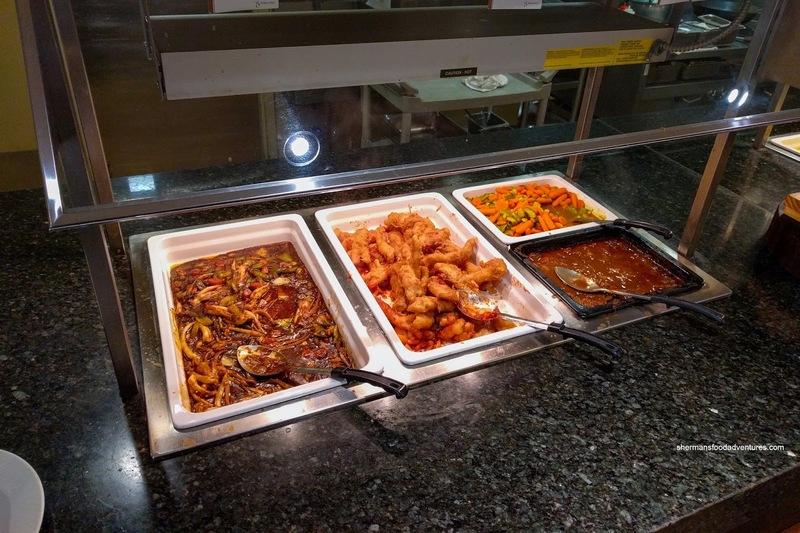 The last time I visited the buffet, I remarked how unappealing the Chinese Food section was and it appeared nothing had changed. It was almost an afterthought where the only thing worth eating was the squid as it was buttery and bouncy with a nice chew. Otherwise, the sweet and sour fish featured doughy batter surrounding overcooked fish. I wasn't even sure what the brown saucy thing was on the right hand side. It said it was lamb, but it sure didn't taste like it. 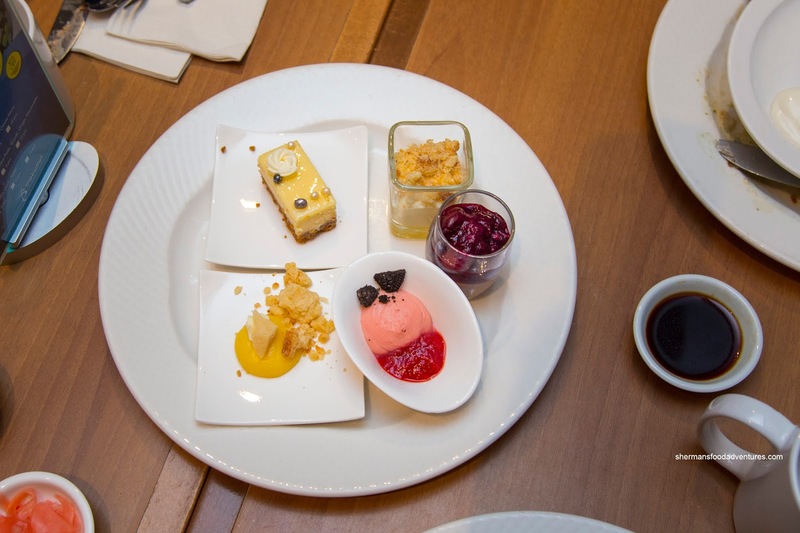 For Dessert, no one could accuse them for a lack of variety. 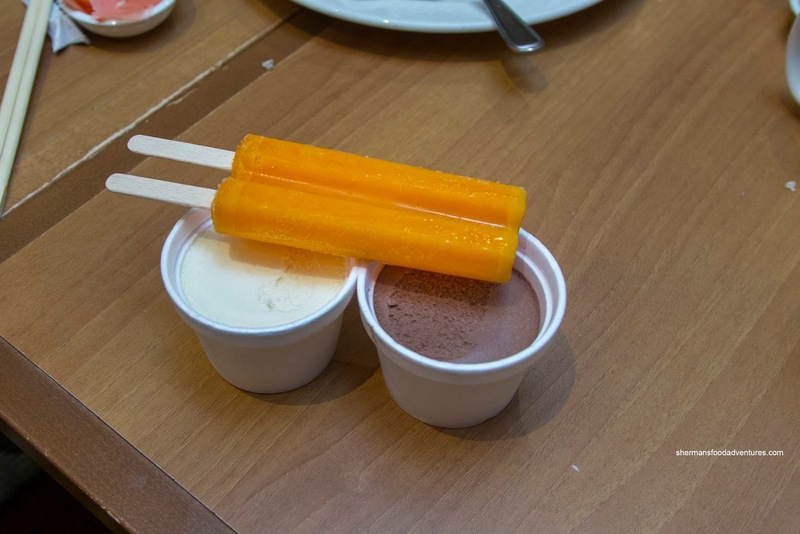 From popsicles to hard ice cream (from GFS, but still decent), there was also a section with many plated desserts. I thought the cheesecake was creamy and nicely flavoured, but the crust was overly buttery. The deconstructed lemon tart was interesting while the chocolate mousse could've used more sugar. Okay let's be serious here, I could go on and on regarding the faults about this buffet, but in reality, it IS a buffet. So expectations have to be realistic. 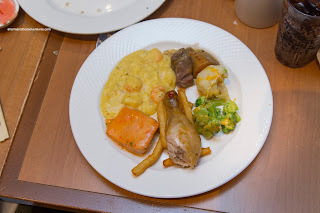 The bottom line is that there is very little competition and choice when it comes to this type of buffet and there were some good items to be found mixed in with some things you can just choose to skip.